Please note HireAPitch does not cover any injuries and customers play at their own risk. Mangement is not responsible injuries or accident caused whilst playing on the grounds, nor are we responsible for any lost of stolen items. A full list of our cancellation policy/terms can be found at www.hireapitch.com/cancellation-policy. Plastic studs ONLY, no flat soled trainers. The Canada Water Football pitch is is easily accessible from the following locations - Canada Water, Rotherhithe, Surrey Quays, New Cross, Wapping, Canary Wharf and Shagwell. 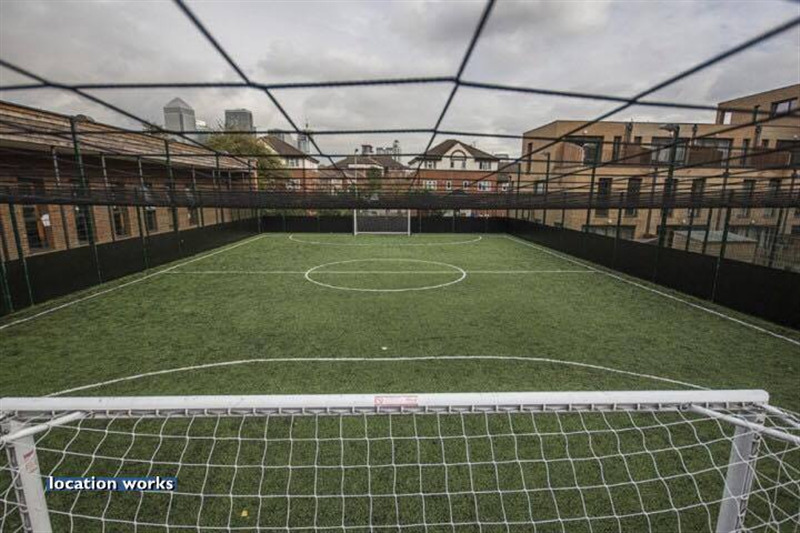 Hire a football pitch in Canada Water and play your 5 a side football game. 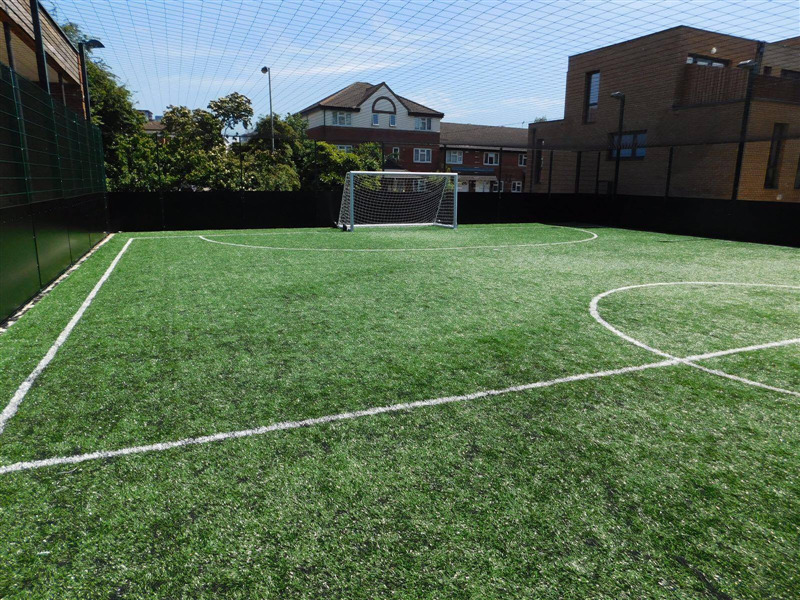 It is a brand new 4g pitch with Roof Net to ensure ball stays within the football pitch for fast pased 5 a side games or matches. 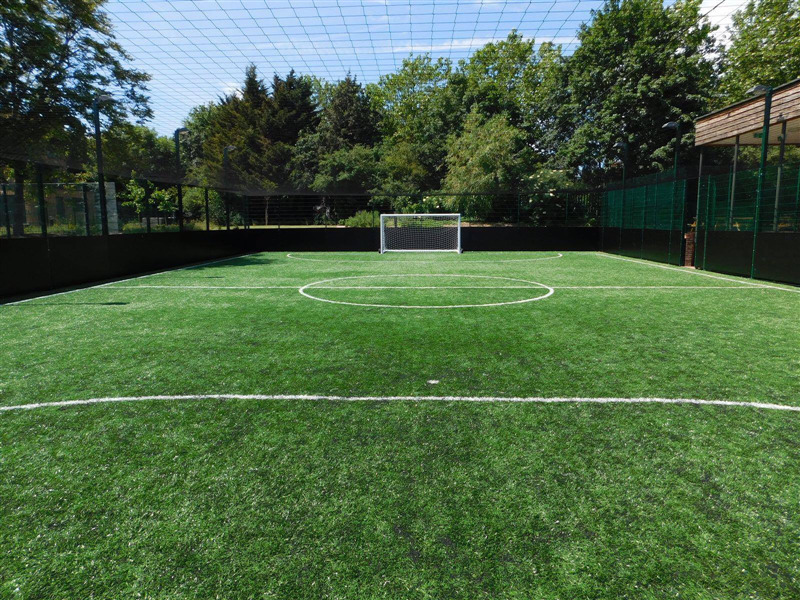 The venue is ideal for tournaments, events, matches, training or just casual games. Suitable Childrens Party venue with indoor facilities available for hire for post party snacks. Leagues are available at this venue. 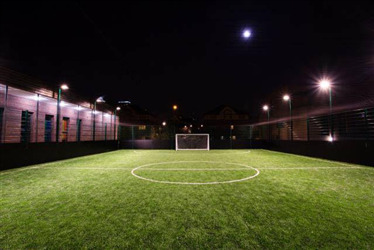 Canada Water pitch hire is also available on a per hour basis.